In 1962, John George Kemeny (born as János György Kemény) (1926–1992), chairman of the Dartmouth College Mathematics Department and his colleague Thomas Eugene Kurtz (b. 1928) submitted a grant to NSF, for the development of a new time-sharing system, with the aim of providing easy access to computing facilities for all members of the college. Its implementation began in 1963 by a student team under the direction of Kemeny and Kurtz. 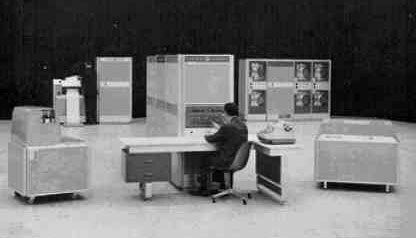 On May 1, 1964, the system, named Dartmouth Time-Sharing System, or DTSS for short, originally implemented to run on a GE-200 series computer (GE-200 series was a family of small mainframe computers of the 1960s, manufactured by General Electric) began operations and remained in operation until the end of 1999!. Having removed one of the main barriers to computer use, Kurtz and Kemeny went on to simplify the user interface, so that a student could essentially learn enough to use the system in no time. But writing programs in the computer languages then in use was a quite challenging task. Kurtz initially tried to simplify certain existing languages, namely Algol and FORTRAN, but eventually decided together with Kemeny that a new, simplified programming language was needed. The resulting programming language was called BASIC (an acronym for Beginner's All-purpose Symbolic Instruction Code), and has become the most widely used language in the world. The BASIC language was initially based on FORTRAN II, with some influences from ALGOL 60 and with additions to make it suitable for timesharing systems like DTSS. Initially, BASIC concentrated on supporting straightforward mathematical work, with matrix arithmetic support from its initial implementation as a batch language and full string functionality being added by 1965. The Golden Era of BASIC came with the introduction of the first microcomputers in the mid-1970s. BASIC had the advantage that it was fairly well known to the young designers and computer hobbyists who took an interest in microcomputers. 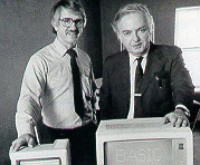 In 1983, Kemeny, Kurtz along with several others formed True BASIC, Inc., with the intention of creating a personal computer version of BASIC for educational purposes.